Where ancient-meets-cutting edge: recreate Renya Xydis’s beautifully Bronzed Medusa Braids, as seen at Kirrily Johnston x Cooper Street Edit’s SS15 show. Before starting, make sure your hair is damp and tangle free. Apply a generous amount of Wella SP Perfect Setting Blowdry Lotion and section the top part of your hair, clipping it up and out of the way for the meantime. 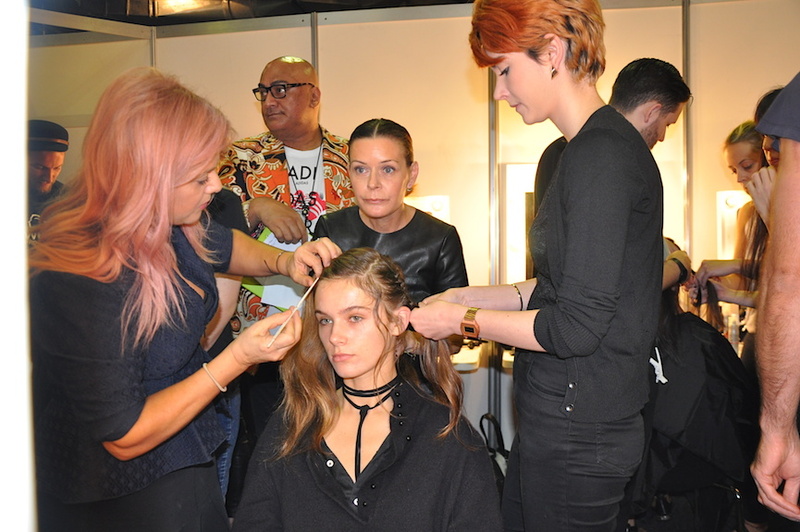 Starting with the bottom section of the hair, take random portions and plait them into a number of braids in varying thicknesses until all the hair in the bottom section is plaited. Now moving onto the top and side sections, comb the fine hair along your partline forward onto the face, allowing it to fall freely along your forehead and cheekbones. Comb a section three inches thick down the centre of your head and clip it up and out of the way for the moment. Then, comb through the two free side sections of hair with a fine toothed comb. 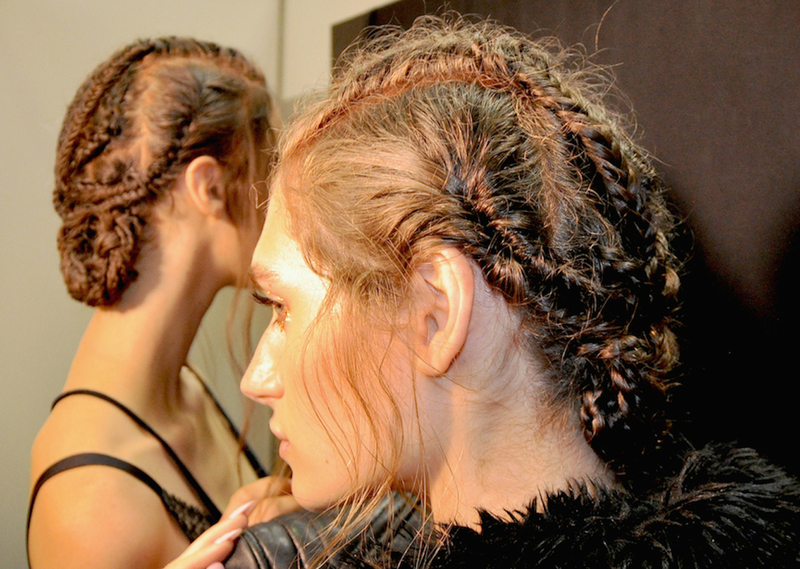 This will make your braiding much easier. Begin to plait these side sections of hair into several random fishtail braids by folding fine pieces of hair over one another. Make sure to keep the hair relatively damp with Wella SP Perfect Setting Blowdry Lotion throughout this process as it will keep the plait smooth and in place. Split the top section into two parts and cornrow the hair from the hairline backwards until all the hair is braided. Take a bronzing compact and with a wet brush, apply it to the scalp. Ensure that all visible partlines are covered in bronze pigment. 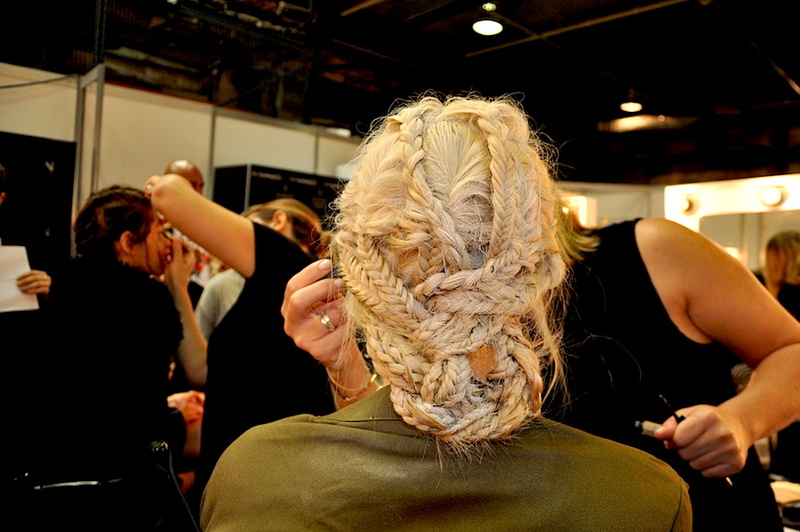 Gather all of the individual braids and plait them into one central plait. Loop the end of the plait anti-clockwise and pin it to the body of the hair. Give your hair a once over, securing any loose plaits with pins. 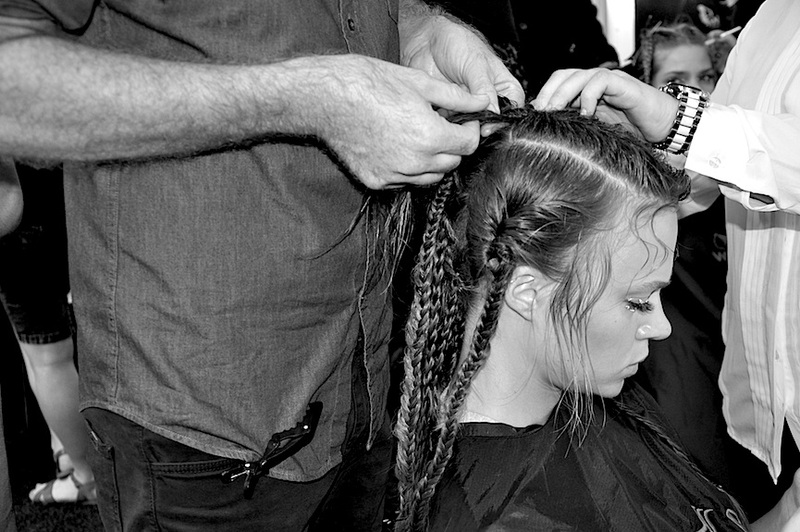 Too add grit, texture and dimension, spray the braids withSebastian Drynamic Dry Shampoo. Then, to soften the dusty look of the braids, spritz generously with Wella SP Ocean Spritz.